Our range of products include pink ruby earrings, square shape stone earrings uncut kundans, fashion earrings and artificial diamond studded earrings. These are semi precious stones, used for an elite look. 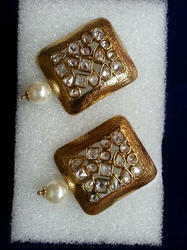 Offered here is a superb selection of Fashion Earrings that we manufacture and embellish at our plant with precision. 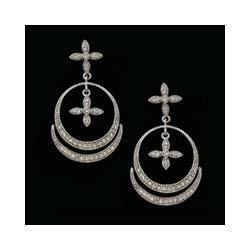 This beautiful range of inspired drop earrings is made of sterling with micro pave set with danglers’ kind, for that feminine look on the wearer. Counted as an essential part of jewelry, our ranges of ArtificialDiamond Studded Earrings are highly suitable for any celebrative occasion and event. Our range includes fashionable, designer and haute selection to choose from. 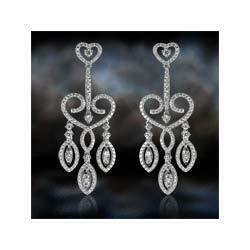 Further, you can line-up these with any of your western or Indian outfits to bring out the diva in you.